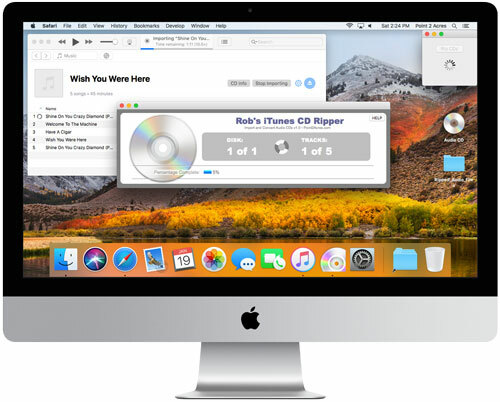 Also known as Rob’s CD Ripper for iTunes, automates ripping CDs using iTunes. The application shown ripping tracks. * Ripping multiple CDs requires multiple optical drives. 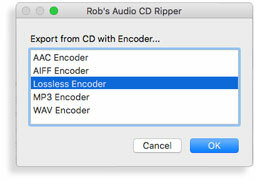 Rob’s CD Ripper for iTunes is a easy to use Macintosh application to automate ripping tracks from audio CDs. Tracks are exported to a folder outside of iTunes as one audio format, then converted to a second format. The iTunes music folder structure is replicated during this process. 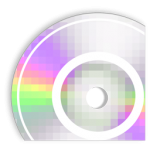 The purpose is to back-up your CD collection in a lossless format and generate a compressed format for everyday playback. With this work flow, you can move the lossless files to back-up storage for future use if needed (i.e. for converting to replacement AAC files or new future audio formats). The compressed iTunes AAC files can then be added to the iTunes music library. The benefit being that all of the newly added music is of the same consistent quality and format — and takes much less disk space. Audio tracks can be be exported or converted choosing from 5 formats. Most people continue to listen to the music they grew up with. If you have a large CD collections, why pay streaming music subscription fees, when you can listening to music you already own? Visit the product page to purchase.